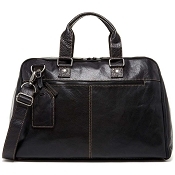 ST Dupont Iconic Cosy Travel Bag in Gray/Blue includes matching shoulder strap. 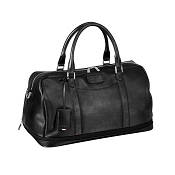 Cosy is a small travel bag for men with an elegantly cool persona. Designed to echo the spirit of adventure in any traveler, this weekend bag in contemporary beige canvas and cognac leather is rugged enough to stand up to the rigors of an international lifestyle and flexible enough to go anywhere with you. 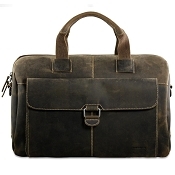 Inspired by Humphrey Bogart's favorite travel bag, this compact version blends form and functionality beautifully.